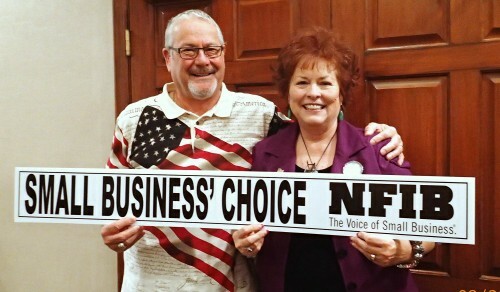 Senator Sylvia Allen: Just Say No To Obama’s Intrusive Federal Mandates! 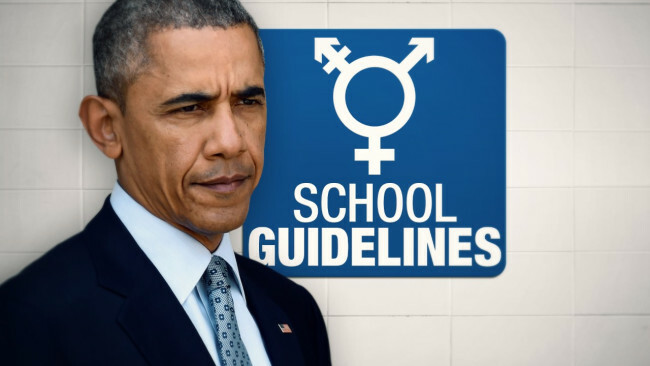 President Obama’s recent directive requiring schools to comply with gender neutral bathrooms and locker rooms with the threat of losing federal funding has caused schools unnecessary stress and turmoil and is another example of how out of touch progressive liberal Democrats really are. You have got to be kidding! Who uses which bathroom is the most important issue for the President of the United States to get involved in? You would think that terrorism and the rising national debt would be enough to keep President Obama busy. President Obama and his administration have once again injected the federal government into what is a state’s responsibility. With a stroke of a pen, President Obama thinks that the Justice Department can override commonsense. He does not have the authority to change hundreds of years of social civility by overriding and redefining natural biology. Again, President Obama is throwing our schools into an unnecessary conflict with the federal government and attacking our parents and families. I’d like to remind the President of the other two branches of government and the 10th amendment, which he too often forgets. I, along with other legislators, have been receiving emails from constituents troubled by this overreach of President Obama. 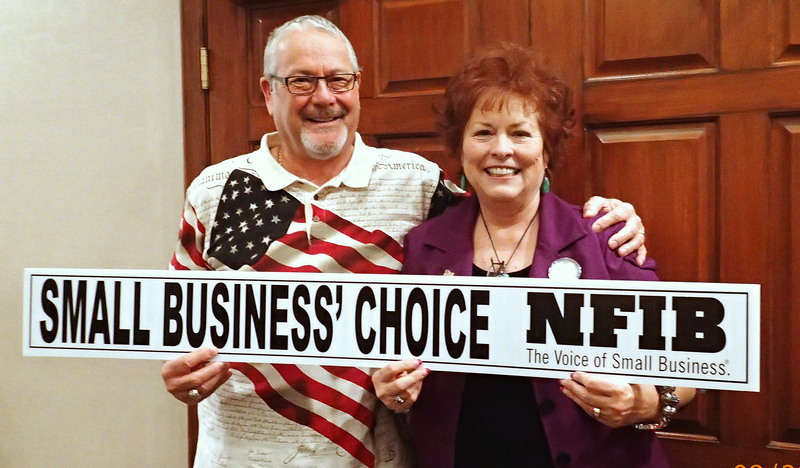 I signed on to a letter authored by Representative Robert Thorpe which was sent to Governor Doug Ducey, Superintendent of Schools Diane Douglas and Arizona Attorney General Mark Brnovich, stating our concern and asking them to make a constitutional finding concerning this and to help our state stand against this abuse of federal power. The answer is for the states to stand up and say NO! Sorry, but you cannot tell us to make this change. Our children have a right to their privacy, their safety and their normal modest sensibilities. I applaud recent actions of Superintendent Douglas and Attorney General Brnovich to join the lawsuit to fight back against the unconstitutional mandates from an ever growing and intrusive federal government! Senator Sylvia Tenney Allen represents Arizona’s 6th Legislative District and serves as President Pro Tempore in the Arizona Senate. 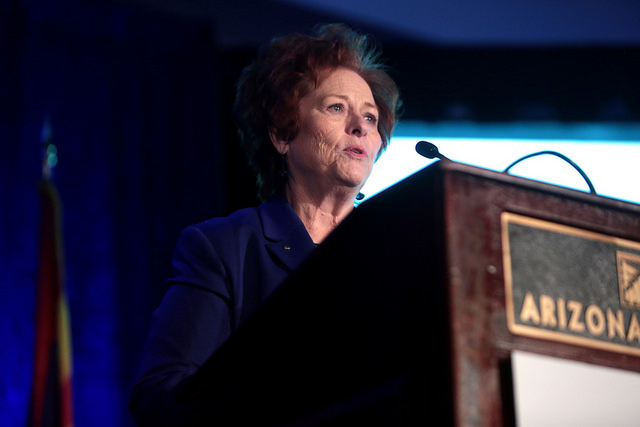 Senator Sylvia Allen: Win, Win for Schools and Taxpayers! I am proud of our schools in Arizona. A number of our high schools are consistently ranked near the top of U.S. studies. We were one of the first states to create charter schools and our Empowerment Scholarship Accounts allow parents to find the best education option for their children. These two reforms are models being emulated throughout the country. I personally have toured and seen the excellent achievement of our students and teachers throughout my district. Friday, October 30, the Legislature passed and the Governor signed an increase of $3.5 billion over the next ten years to our schools. This will bring new money into our K-12 school system, if voters approve the plan in a special election to be held May 17, 2016. Part of the funding will come from a new percentage level, 6.9%, distributed to the State Schools Fund from the Permanent Land Endowment Trust Funds (PLETF). The Arizona Constitution determines the portion of investment earnings the Treasurer must distribute annually to each beneficiary. Right now annual distributions are set at 2.5% of the average monthly market valuation of the PLETF from the preceding five years. The voters will be asking to approve the increase above 2.5% in the May election. Governor Ducey was State Treasurer before being elected Governor, so he understands this trust fund and how it functions. In 2012 he developed Proposition 118, to move to a fixed rate of 2.5%, instead of a fluctuating rate used at the time. Voters approved that proposal. Three years later, the Governor proposed to increase that amount to 6.9%, and the Legislature agreed. We spent much time in debate and talking to lawyers and staff about the ramifications of the increased percentage. I am convinced that we have been short changing our schools all these years. The PLETF is now valued at $5 billion and the consensus of those who voted yes is that we can safely pay this out to our schools and protect the principle of the fund. Triggers are placed within the law in case we have another major economic downturn. It would require the Directors of the Office of Strategic Planning and Budgeting (OSPB) and the Joint Legislative Budget Committee (JLBC) to jointly notify the Governor, the President of the Senate and Speaker of the House that a reduction to the distribution is necessary to preserve the safety of the capital in the PLETF, if the value of the PLETF has decreased. At that point we would return to the 2.5%. This was a complicated issue that took hundreds of hours of work by all concerned, but I am confident that we have made a very good decision in increasing the payout from the State Schools Trust Fund. The proposal also included increased money for schools from the General Fund. Allows flexibility for school districts to budget the additional funding to where they feel it is needed. None of this will increase taxes for our citizens and is being done within the capacity of what we have now. We hear all the time how bad Arizona ranks in school spending, but those rankings can be very misleading. Other states have 95% of land privately owned and is part of the tax base. In Arizona, we are generating revenue from 13% private property. We will never raise revenues to the level of those other states. Also, Arizona has a high population of those under 18 years of age and a large population of adults over 65 years of age. In the 18-64 age bracket where the bulk of taxpayers reside, we have a proportionally small population, so again, we will never be able to reach the revenues of other states without significantly increasing taxes. This ranking propaganda by our critics is designed to pressure taxpayers to fund more into our schools. We are short changing our teachers and kids when we constantly focus on a ranking instead of results. Funding is important but does not guarantee a good education that depends on parents, teachers, and, most of all, students. I wish to thank the Arizona taxpayer who is willing to give their hard-earned money to better the life of children through our education system in Arizona. Proposition 204 (“Permanent Sales Tax Increase, Education & Transportation”) is NOT the same temporary tax that is in place now and that will expire in 2013. This is a whole new tax with many changes written into the initiative. Prop 204 is very dangerous, because it changes our constitutional form of government that requires the legislature to appropriate the tax dollars. The tax in place now did not make constitutional changes. Prop 204 decreases the power of the people by taking away their vote to check the legislature in the budgeting process. If Prop 204 passes, it will be nearly impossible for the legislature to change the sales tax rate, one of the highest in the nation, in the future. Our national economic future is uncertain. Congress is wrestling with their $1.4 trillion budget deficit and the $16 trillion debt, and has passed a budget reduction bill that will cut aid to the state by 9% in 2013. The Arizona Legislature, which is elected by the people and accountable to the people, will need the ability more than ever to appropriate our tax dollars in the best interest of the public’s welfare and safety to keep all state responsibilities functioning. In addition to the significant structural change in our management of tax money, Prop 204 also has language written into the bill stipulating that the legislature cannot reduce education funding from the 2012 levels going forward. This is reckless, considering that school enrollment can go up or down, and education funding should reflect that reality. The proposition also has language that gives the Arizona Department of Transportation millions of dollars that can’t be touched and yet there is no reduction in the state gasoline tax that citizens are paying at the pump. Those who wrote Prop 204 were also generous with other areas concerning welfare and healthcare, throwing millions of dollars into programs, and again tying the hands of the legislature in the budgeting process. As the teachers union and others talk about the reductions to education these last three years, remember the $3 billion deficit that was brought about by increases in spending that could not be sustained. Between 2008 and 2010, the state lost 33% of its revenue, yet education received a reduction of 3.4%, in comparison to other state agencies which received reductions from 15.8% to 53%. In 2008, state aid was $5,431 per student. Today it is $5,244. (Schools also receive federal and local dollars we have no control over.) This last session we increased funding to education by $56 million and as revenues improve, the legislature will add more. The Arizona Legislature worked hard to bring our state budget back into balance. Along with other good legislation we have been able to improve our state economy whereas national job growth is stagnant. Arizona is now Number 4 in the nation for job creation opportunities. Please vote NO on Prop 204 and protect your ability to have a say in the budgeting process through your elected legislator.